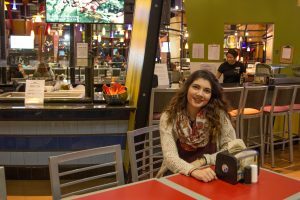 Today we speak with Lauren Bitzer, a sophomore marketing major from Cherry Hill, Camden County, who lives in our on campus townhouses. 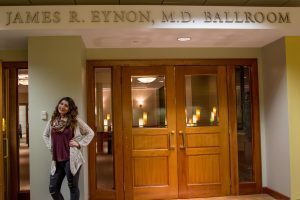 Lauren will share her #PROFspective with us on what it’s like to be a Rowan University student and how she’s getting the most out of her college experience as a Rowan Prof. I work as an Admissions ambassador in the Office of Undergraduate Admissions in Savitz Hall. Do you work off campus? I work at Lorenzo’s Pizza and Steaks in the Cherry Hill Mall. I chose marketing because I always had a passion for business. When I was in high school, I was part of a business club DECA. At DECA students compete in numerous role play situations where they have a problem to solve. At the end the judges give students a score based off their performance. If they beat their competitors, they move onto the next round until somebody wins. I had joined this club in attempt to get involved in high school and found that it was my niche. I would like to pursue a career in the business world as a pharmaceutical sales representative. Since Rowan doesn’t offer a pharmaceutical marketing program yet, I decided to major in marketing with a biological sciences minor to gain some background in biology. The main reason I chose Rowan University was because of its small class sizes. When I was in high school, I had to transfer to another school after my freshman year because it was too large and I felt like such a nominal fragment of the student body, and I just got lost in the crowd. After seeing what a classroom looks like here when I was on tour, I instantly knew I was where I’m supposed to be. 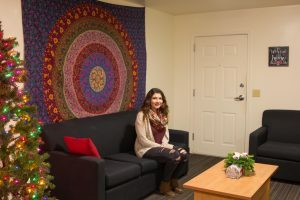 I feel that small class sizes are very helpful in the long run because it allows my professors to know me personally which is beneficial when it comes to letters of recommendation, internship opportunities and even potential careers in my field. I am a morning person, which is not something you typically hear from a full time college student. In high school, I was so used to having other people make agendas for me, so much so that once I entered college, I was so off schedule and had no one on my back telling me when to do things. In order to have a routine, I try to wake up every day around 6 a.m. in attempt to get into more of a set schedule for myself. Luckily, I take only morning classes on Monday, Wednesday, and Friday, and I have the rest of the day to myself. However, Tuesdays are easily my busiest days this semester, where I have class back to back and little to no free time. I live in the townhouses, and when I a m awake listening to music, I use headphones so my non-morning roommates won’t wake up. Even though I live on campus, I try to avoid going home in the middle of the day because I know I will get a little too distracted, In order to stop me from going home in the middle of the day, I tend to pack my lunch, snacks and water, and be on my way for the day and try not to return until around dinner time or so. I am an Admissions ambassador at the Office of Undergraduate Admissions in Savitz Hall. One of the many great things about this job is that it’s flexible so I can stop by and work between my classes and reach my 20 hours for the week. Every Tuesday, I start working at 8 a.m. until I have to go to my 11 a.m. Biology II class. Although biology is not my absolute favorite subject, I really like my professor Benjamin Carone. It’s his first year at Rowan so he likes to test different learning styles on us which makes every class interesting. I enjoy the hands-on experience working with my lab partners and that works out because we have labs every class. Sometimes we work on different labs simultaneously so it’s important to be careful because if I mess something up in the beginning of the lab, I will have to work off of my mistake(s) and start my lab report with something like, “Well, on day one I accidentally did this…” But hey, I’m thankful doing a lot better in Bio II than I was in Bio I. My biology class finishes at 1:45 p.m. and that’s when I go back to work in Admissions. Normally on a Monday, Wednesday or Thursday, you can catch me around campus giving daily tours, showing parents and prospective students what Rowan University has to offer. During the rest of the week, when I’m not on tour, I am in the office taking care of mail, delivering packages to other campus buildings and organizing high school data entry cards. In between classes I grab a bite to eat and at 3:30 I have to catch Camden Shuttle to go to my Camden class College Comp II that starts at 5 p.m. and goes to 6:15 p.m. Then at 6:30 p.m., I take a shuttle back to main campus and have one of my favorite classes; Management of Human Resources from 7:30 p.m. to 10 p.m with Dr. Camron Casper. What I like about Dr. Casper is that he is very funny and makes us incorporate our ideas into other people’s ideas to really teach us what HR is. We have plenty of group projects and interactive exercises like making fake resumes and analyzing them. It is never a dull day in that class. While Tuesdays are definitely my busiest academic days, once I work through all those classes, I’ve got a few significantly easier days ahead of me for the rest of the week. Every other Friday I attend Freshman Leadership Involvement Program (FLIP) meetings. I joined this club as a freshman wanting to transition into college smoothly. I was first introduced to this club, when I had gone on this trip called “First-Year Connection Leadership” in August 2015, where we had the privilege to move into our dorms a week early and stay overnight at a campground for two nights. At this campground, we got to go ziplining, climb on high ropes courses, go rock climbing and so many more fun activities. I had grown such strong bonds with the other students who were freshmen and first year students as well, learning what it means to be a leader and I am beyond thankful for this summer program. While on this program, they had told me about FLIP (Freshman Leadership Involvement Program), which continues to teach students more about leadership. Since I am a sophomore now, I have become a mentor and have my own group of freshmen to guide. In this club, we play different games and invite different leaders and staff members to talk about life at Rowan. I met my best friends at the club last year, and now we all work together to help others adapt to college life and I recommend it for all students who want to be involved. Another club that I attend is Student Government Association (SGA). Every other Monday I get to wear my yellow polo and hang out with my friends at SGA. 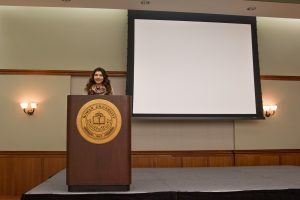 SGA advances the university and tries to increase student involvement, focusing on students’ wants and needs university wide. 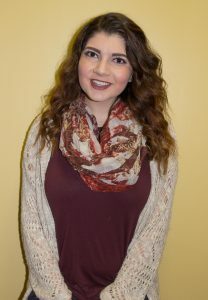 I am one of 2019 Class Senators, and I am also a member of the SGA University Advancement Committee where we also try to further student participation. Right now we are preparing for the Holiday Week event. 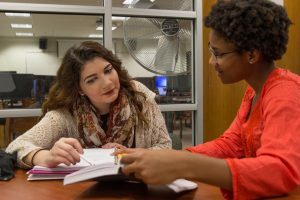 In between my classes throughout the week, I try to utilize the works of many resources that we have on campus, such as the Writing Lab in the Keith and Shirley Campbell Library and the Tutoring Center in Savitz Hall. Without the assistance of these resources, I do not know where I would be in my college career and I cannot thank Rowan enough for have these resources to help me when I need it the most. As busy as a full week of classes may be, I always love unwinding at the end of the day by relaxing at home and hanging out with my roommates.